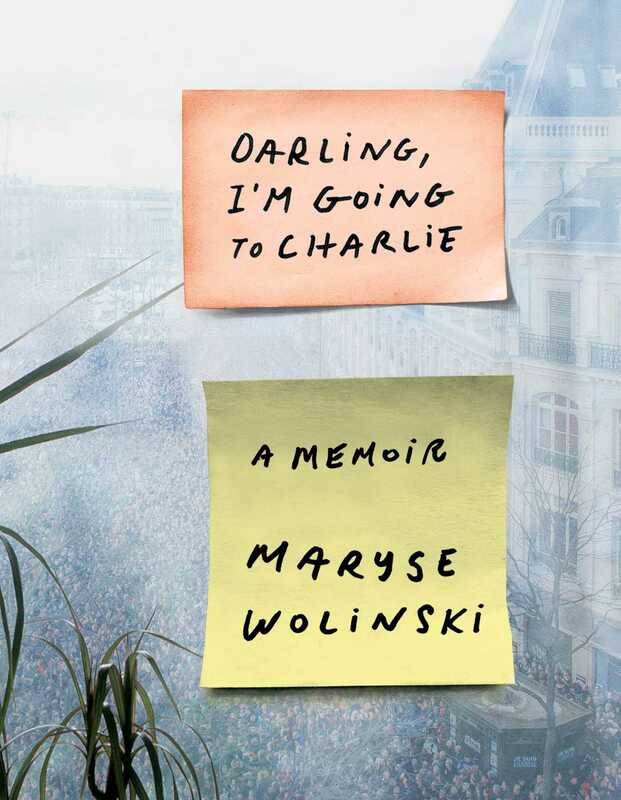 An elegant, deeply felt memoir from Maryse Wolinski—journalist and widow of the late cartoonist Georges Wolinski, who died in the terrorist attack on the French satirical magazine Charlie Hebdo—that is both a beautiful tribute to her late husband and a rallying call to action. These were the last words that prolific satirical cartoonist Georges Wolinski said to his wife, Maryse, as he left for work. Two hours later, terrorists barged into the Paris offices of the Charlie Hebdo magazine, fatally shooting him and eleven others. Maryse remembers her marriage to Georges—forty-seven years of love and devotion—and the swift, cruel manner in which she lost him. From her grief comes a demand for answers as she investigates the failings of the French government in their security measures, especially when another terrorist attack occurs just eight months later. A celebrated journalist in her own right, Maryse writes with both clarity and authority, all the while exploring what made her relationship with Georges so singularly strong. Darling, I’m Going to Charlie is not only one woman’s beautiful tribute to her late husband, but also a stunning, courageous testimony and inspiring call for change. WEDNESDAY, JANUARY 7. I open my eyes and daylight begins to chase away the darkness. My mind hovers for a moment between consciousness and the world of dreams. I listen to the muted sounds in the apartment. The wind whistling in the fireplace. A ray of light crosses the ceiling, a car passes by the building. In the hallway, I can make out the sound of footsteps gliding along the floor: Georges is already up. Will I jump out of bed to hold him tight, or wait for him to push open my bedroom door and come to me? Was he already sitting at his drawing board that morning, finishing the page he would take to the Charlie Hebdo editorial meeting? On Wednesdays, the “Charlies” meet to put together the next issue. Well . . . nothing is ever certain with Georges. He doesn’t always go to the Wednesday meetings. If he hasn’t finished his drawing in time, he calmly completes it, leaning over his table, in his bathrobe, his hair a mess, his eyes riveted to the sheet of paper. He’s not the only one. According to him, Cabu sometimes doesn’t show up for Charlie’s little team meetings. Bernard as well. The multitalented Bernard Maris; they call him Uncle Bernard. As for the others, I don’t really know them. I read only Laurent Léger’s articles and Philippe Lançon’s juicy columns. I also feel great affection for Cavanna, not just because he discovered Georges’s talent, but also because of the values he so fiercely defended. A year before, Cavanna had been taken away by Parkinson’s disease, his final companion, the one he had known so well how to dramatize. It’s the first editorial meeting of the year. Georges told me that Charb, the editor in chief, had asked that all the contributors be present. They were going to share an Epiphany cake, and undoubtedly use the occasion to discuss the catastrophic financial situation of the paper and its future, which was far from certain. I remember having asked Georges one day: “What would it mean to you if Charlie Hebdo closed?” He shook his head. I thought that my question wasn’t very welcome, given his sadness after he’d left the Journal du Dimanche the June before, a rejection that had remained without explanation. I insisted nonetheless, and he finally answered. “For fifty years, we’ve always managed to land on our feet, and we’ve had many hard times at the paper. We’ll find a sponsor, a subsidy, so we can keep our head above water.” He didn’t really convince me. I could see by his worried look, his weary tone of voice, that something was wrong. Salaries weren’t always paid at the end of the month, and even if the check came, he had to wait a while before putting it in the bank. Where had those glorious years gone, the 1980s, when Choron would give everyone a raise whenever he felt like it? I could tell that Georges was worried about the paper’s situation. But he put up with it. And he missed the fraternal, jovial atmosphere at Charlie Hebdo when Reiser, Gébé, Cavanna, and Choron were there. At four o’clock, he planned to meet me to view an apartment, since we had agreed to leave our current one, which we liked so much. We had been happy there, in our fashion. We’d moved in six years before, with the idea of staying as long as possible. Neither of us liked being thrown out of our nest. We are at a disadvantage when it comes to moving. In forty-seven years, we’ve had only three apartments. We didn’t want to move any more. But a few months before, our landlord had decided otherwise. He was taking the apartment back for his son. In the place before, where we had lived for thirty-five years, that owner had also announced one fine day: “I’m taking it back for my son.” A real wrench. We’d left our youth there. And so today, the same scenario was being played out. Toward which horizon should we fly? We dealt with it very halfheartedly; we had no desire to leave the plane trees lining the boulevard. Me in particular. Opening the windows and seeing trees was like being in the countryside. For Georges, it was the layout of the place that he’d grown attached to. But actually he could live anywhere, as long as he had his drawing board, the one he went to the United States to buy, for it was “only in the United States that they know how to design drawing boards”—at least the ones he liked. I remember the day he came back from Washington, his board folded under one arm, a suitcase under the other. He was mad with joy. After getting washed, I rushed into the kitchen to get my breakfast ready. I had only had a few hours’ sleep, as usual. But that never stops me from getting a good start to the new day. Perhaps we’d visit the apartment of our dreams, along the quayside. Up to now, we’d seen only pictures of it. Actually, we had already decided: the apartment we’d seen on Monday afternoon that looked out over a boulevard. The real estate agent couldn’t find the electricity meter, so we’d looked around in the semidarkness. But we liked everything: the layout of the rooms, which worked with the way we lived and worked, the high windows—two apartments in one, a balcony for my flowers, plane trees below, and undoubtedly a flood of light pouring in during the daytime. We were considering signing the lease quickly. We had a very nice lifestyle, too nice, and since we’d sold our second homes and never thought about how much money we spent, we would be renters for life. Who cares! We loved each other. He puts down the coffeepot and reaches out to me, and his only reply is to stroke my cheek. While I get my breakfast tray ready, he sits down with his awful milky coffee and dips his bread, dripping with butter and jam, into it. Then we open our datebooks and compare our days. I remind him about the appointments we have together. On this occasion, this January 7, we’re viewing the apartment on the quayside. “Can you see yourself living there?” he suddenly asks. “No, I prefer the one on the boulevard.” “Well then, why are we going?” “Georges, I’ve made the appointment, and we have to see more than one before deciding.” He gets up, comes back with the newspaper, Le Monde. He reads an article out loud, then comments on it. These morning meetings are often my favorite part of the day. But today he’s in a hurry. The critique will be short. Before leaving the kitchen, he blows me a kiss and goes to get ready. “Darling, I’m going to Charlie!” he says a few minutes later, shouting from the other end of the apartment. Then he returns, pulls back the curtain that separates my bedroom from the bathroom, and pops his head inside. “Darling, I’m going to Charlie.” It must be nine o’clock, I’m late, still wrapped in my bath towel, not paying much attention to him. I recall thinking that he was leaving earlier than usual for a Charlie meeting. I hear his footsteps in the hallway, then the door slam shut. At that moment, I always feel slightly sad. But today, I know we’re going to see each other again that afternoon, at four o’clock. Maryse Wolinski is a French journalist and writer and widow of the late Charlie Hebdo cartoonist Georges Wolinski. She is the author of several stories and novels including Georges, If You Knew and The Passion of Edith S. She lives in Paris. "Journalist Maryse Wolinksi pays tribute to her husband, a victim of the Charlie Hebdo terrorist attack, in her new book. Named for the last words he spoke to her, Darling, I’m Going to Charlie: A Memoir paints a poignant portrait of their 47-year-marriage. Beyond that, the book also explores France’s security and why another horrific attack occurred less than a year later." "A heart-rending read for anyone struggling to move on after the sudden loss of a loved one." "Expressive and heartrending, yet not melodramatic, Wolinski's narrative places readers inside the soul of a smart woman deeply in love with her partner despite his flaws, a man whose loss is profoundly felt throughout her testimony. Having a tissue handy while reading is a good idea."